We chose to head to Berlin for Tash’s birthday. On the first night we stocked up on beers and bbq food and had a quiet one ready to go in to Berlin the next day. The journey in to town was a little longer than we would have liked, but we headed to Alexanderplatz for some shopping. 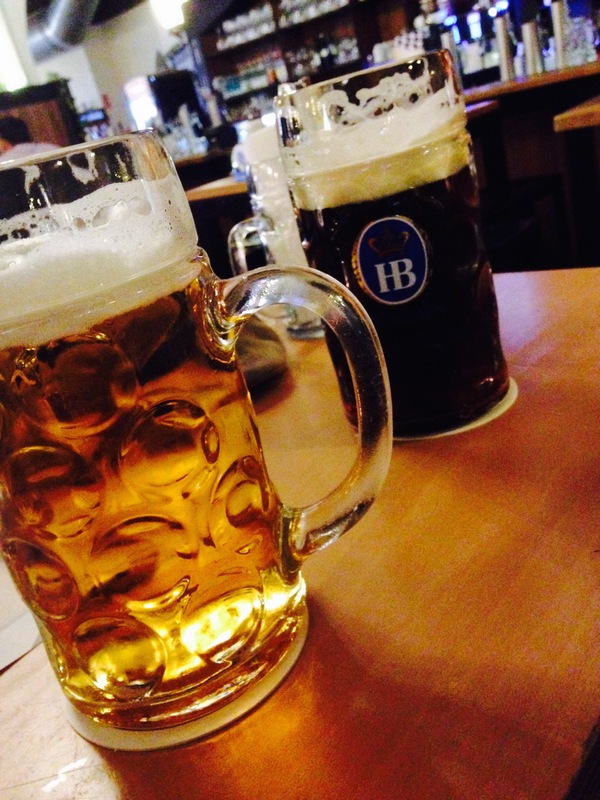 We had been to the Hofbräuhaus in Munich, so we thought we’d give the one in Berlin a try. It was a little quieter than what we had seen before, but we celebrated with a Big stein of beer and a cheeky kebab for dinner. We decided to save our visits to all the historic sights until the next day when we were in a more concentrated (sober) frame of mind.